A guide for instructor basic understanding of Open Educational Resources (OER), including how to find, evaluate, use and adapt OER materials for their own curriculum. Most OER materials come with a Creative Commons License that allows for copy, distribution and even adaptation of work free of cost. For more information see Copyright and OER. One of the main reasons a student may drop out of college is cost. While MSSU has already taken steps to aid in this area, rental textbooks and buyback programs, more is still possible. Decreasing the weight of costs can aid in improving graduation and retention rates. Located online, materials are easy for distance and non-distance learning students to find. Materials can be linked in Blackboard. Many OER resources, due to growing popularity, have been reviewed by professionals in your field, or are being used at other institutions. OER materials can, in some cases, replace textbooks, but they can also act as supplemental material. They are versatile and can help you save time and money by allowing simply adapting already existing materials. OER Commons is a freely accessible online library that allows teachers and others to search and discover open educational resources (OER) and other freely available instructional materials. A single search engine for online OER resources. 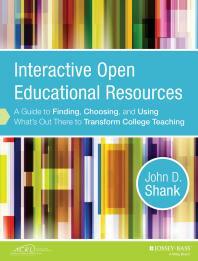 Open textbooks that have been funded, published, and licensed to be freely used, adapted, and distributed. These books have been reviewed by faculty from a variety of colleges and universities to assess their quality. These books can be downloaded for no cost, or printed at low cost. All textbooks are either used at multiple higher education institutions; or affiliated with an institution, scholarly society, or professional organization. Develop and use Open Educational Resources (OER), achieving at least a 30% adoption rate of subscription and/or free academic learning materials in classes by 2023. To support the mission of the Missouri Southern State University and the educational needs of its constituents, Spiva Library provides various resources and services to meet the teaching, learning, and research needs of its faculty and students. The library holds over one million materials, including print books, journals, e-books, e-journals, databases, multi-media, and microforms. Being part of the Federal Depository Library Program since 1967, the library acquires and provides access to government documents in a variety of formats. The Archives and Special Collections Department houses university archival materials and several renowned collections: Congressional papers of Gene Taylor; the papers of Dr. Arrell Gibson, a noted Western historian; and physical and digitized Tri-State mining maps and drill logs. As a MOBIUS library consortium member for decades, Spiva Library provides its patrons with resources owned by over 70 academic, public, and special libraries in Missouri, Oklahoma, Iowa, Colorado, Wyoming, Kansas and Texas. The library also provides and maintains multiple search engines for patrons to discover and access a wide variety of library resources through Summon (the discovery tool), SWAN (the library catalog), and MOBIUS (the consortium catalog), Journals/e-Books Finder, A-Z Database List, and OverDrive (a new MOBIUS audio and e-book platform). Many of the proprietary resources, subscribed by Spiva Library, are freely available to MSSU faculty, students, and staff only. These library resources serve as supplementary and educational materials for instructors and students. They are instrumental in the development and deployment of courses that use Educational Resources as a cost-saving initiative for our students. The MSSU Library and Distance Learning Department will provide technical and resource assistance to help faculty and staff re-design courses using the above avenues as they adopt approaches to improve teaching and learning. This committee also recognizes the value of this endeavor as it contributes to student satisfaction and is a serious cost-saving initiative to aide each student as they embark on their academic endeavors at MSSU. A quick fact sheet about Open Education from The Scholarly Publishing and Academic Resources Coalition.